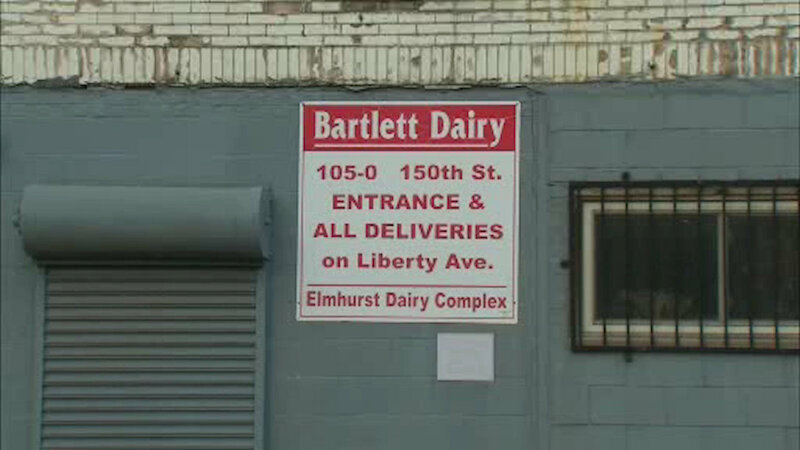 JAMAICA, Queens (WABC) -- New York City's last remaining milk bottling plant will soon put a lid on its operations. Elmhurst Dairy in Jamaica, Queens, announced Tuesday that its processing plant will conclude more than 80 years of milk production, according to a press release. The closure will affect 273 people, including the Schwartz's, who made the milk business their family business in 1919. "My family was dedicated to trying to keep the plant open long past the years that it was economically viable because it was the wishes of its founder, Max Schwartz, that future generations of the family continue the business," said the dairy's CEO Henry Schwartz. "The family did so at a very high cost but is unable to continue to do so without ongoing losses." Henry Schwartz's father, Max, along with his uncle, Arthur, started the business with seven cows that their father bought in Manhattan and herded over the Williamsburg Bridge to their farm in Middle Village, Queens. After years of hand-filling bottles in the family barn, the Schwartz's moved Elmhurst Dairy to its Jamaica location in 1940. The property grew over the next 68 years to the present 15-acre site, and at its peak, produced 5.6 million quarts a week to a market of 11 million people. Less than 30 years ago, Elmhurst Dairy was among 20 milk processing plants in the area, but by 2016, it was the last one standing. The dairy blames rapidly changing regulatory and market environment for these closures. Although the future of the 15-acre site is uncertain, the dairy announced that it intends to reuse it in a way that benefits the Jamaica community.